iGRIND4REAL: ***TALK ABOUT DOPE FRIENDSHIP*** #CelebNews Jerry Seinfeld Reveals Why He Rides For Wale!!! 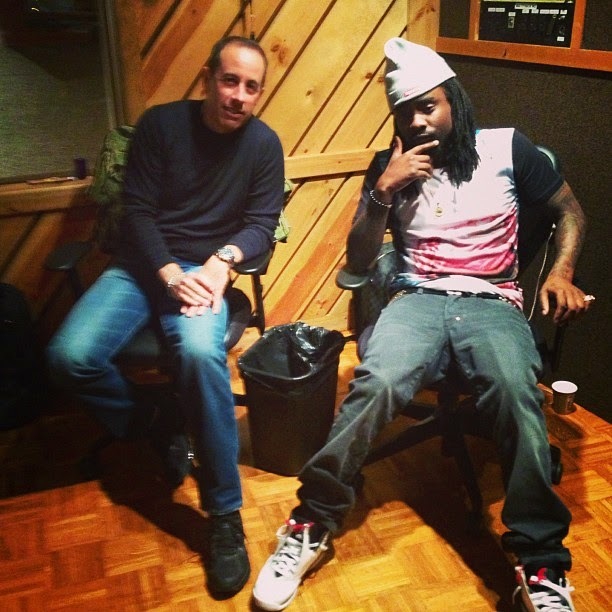 ***TALK ABOUT DOPE FRIENDSHIP*** #CelebNews Jerry Seinfeld Reveals Why He Rides For Wale!!! Who says folks from different walks can't be amazing friends?! 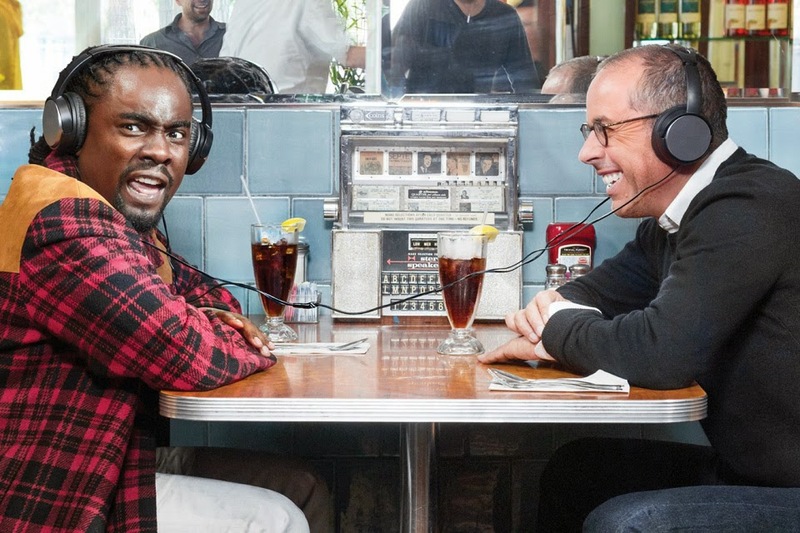 We rap star Wale and iconic actor Jerry Seinfeld have became quite the buds. Via HipHopWired: Wale recently enjoyed his second Billboard No. 1 debut with The Album About Nothing and his co-star Jerry Seinfeld couldn’t be more pleased. 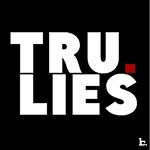 The famed comedian embraced the album’s concept which was first unveiled on the D.C. rapper’s breakout project, The Mixtape About Nothing. ArtsBeats caught up with Seinfeld in the wake of the Billboard announcement, which he calls a “sweet vindication,” seeing that his own album, I’m Telling You for the Last Time, only peaked at No. 59. Wale and Seinfeld have one of the most unusual if not unlikely friendships in Hip-Hop history but the 60-year-old star tells The Times it has been a completely organic partnership from day one. 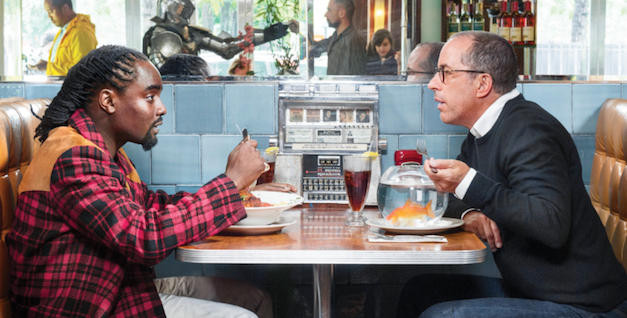 Seinfeld appears throughout The Album About Nothing as Wale’s “conscience,” offering up advice on the tangential subject matter that ranges from well-kept appearances to healthy relationships. He also told Artsbeat that he didn’t “drink any of the champagne” in the studio while recording his vocals because he felt “it was insane” to work like that. He also recalled the first time he met Wale and it was actually before he knew The Mixtape About Nothing existed. “My wife was a fan and she plays his music in the house all the time,” he recalled. “I liked it, too — I don’t spend much time putting together playlists, but that’s what’s nice about being in a family is people just inflict it on you. I absorb it that way.” Which is why Wale is still in his top five rapper list, dead or alive.